In this edition, award-winning translator and editor Daniel Mendelsohn has made a selection of the poet’s best-loved works, including such favorites as “Waiting for the Barbarians,” “Ithaca,” and “The God Abandons Antony.” Accompanied by Mendelsohn’s explanatory notes, the poems collected here cover the vast sweep of Hellenic civilization, from the Trojan War through Cavafy’s own lifetime. Whether advising Odysseus as he returns home to Ithaca or portraying a doomed Marc Antony on the eve of his death, Cavafy’s poems make the historic profoundly and movingly personal. 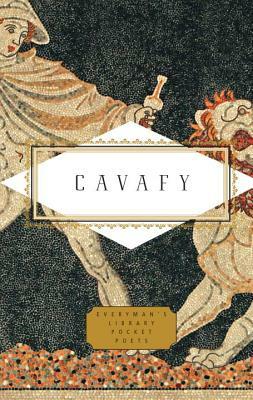 C. P. CAVAFY (1863-1933) was a Greek poet who lived in Alexandria, Egypt, and worked as a journalist and civil servant. He published 154 poems; dozens more remained incomplete. His fame grew substantially after his death.